These three astronauts are the prime crew of the Apollo 15 lunar landing mission. 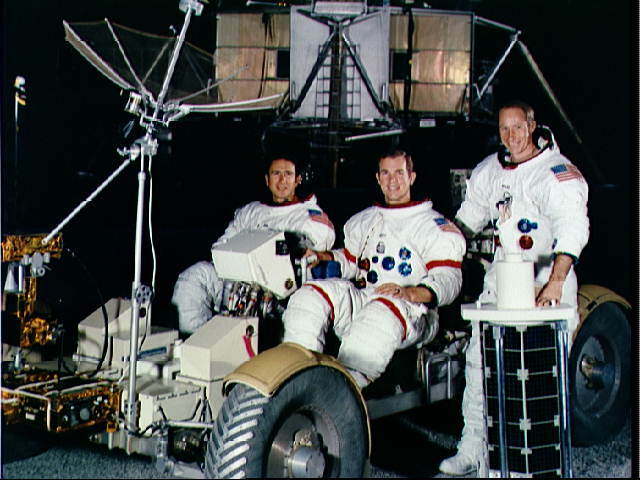 They are, left to right, James B. Irwin, lunar module pilot; David R. Scott, commander; and Alfred M. Worden, command module pilot. Irwin and Scott are in a Lunar Rover model.